We provide care for children 18 months through 6 years old. This is where Play ‘N’ Learn’s educational process begins. 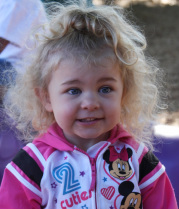 The first three years of life are arguably the most important for language and cognitive development. To support and encourage this growth, it is important that your child feel secure and cared for while at school. Our toddler teachers set attainable classroom goals and know to expect the unexpected. Through it all, they are patient and loving with every child. While many people feel children “play” at school, we understand that children learn by doing and thus, learn from play. At Play ‘N’ Learn, each class follows a weekly lesson plan, which in turn, follows a theme-based learning schedule. These lessons are planned in advance and are available for you to view in the school’s main entryway. A perfect example of how we strive to keep you informed of everything happening at the school and encourage open communication with parents at all times. 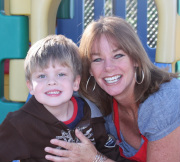 Pre-Kindergarten is a wonderful time when children’s minds and abilities are developing quickly. This is why Play ‘N’ Learn has developed a well-balanced curriculum to address the needs of the whole child. Not only are academic needs addressed, but emotional and social development is given high priority as well. It is this “whole child” approach that has allowed our children to reach success both here at Play ‘N’ Learn and beyond at other well-respected educational institutions. Jr. Kindergarten was a program born out of necessity. Children turning 5 after December 2nd are not eligible for Kindergarten. Regardless of academic and social preparedness, they must wait another year before entering Kindergarten. On the other hand, many parents feel that, while technically eligible for Kindergarten, their child would benefit from additional exposure to the preschool environment before entering elementary school. When placed in a typical Pre-Kindergarten class, many teachers can have a difficult time challenging these students, without leaving the rest of their class behind. This can lead to behavior problems or a disinterest in school. We specifically designed Jr. Kindergarten to address these children and their needs. A well-structured program, Jr. Kindergarten has increased academic standards to challenge and keep the interest of these children. Here, they will use Kindergarten level curriculum to explore the areas of language, writing, mathematics, and science in an enjoyable classroom atmosphere. This is a tremendously successful program which is only available to a select group of children. Please ask the director to see if your child is eligible. 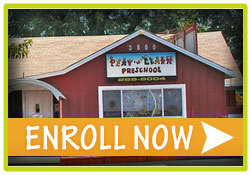 Play ‘N’ Learn’s Kindergarten program has a long history of preparing children for academic success. A low student to teacher ratio, coupled with our full day schedule, allows subjects to be covered in more depth. The personal attention gained by the students, translates into self-confidence, a love of learning and ultimately, future academic success. In addition, our 6:30am – 6:00pm schedule eliminates the need and added expense of Before and After school care. Major goals in our Kindergarten class are: Reading basic books, Adding/Subtracting and identifying States and Capitals. Progress reports and parent conferences are held twice a year to assess your child’s strengths, achievements and to keep you informed of areas for continued growth. However, teachers are always available for daily communication with parents. An exciting part of Kindergarten is our field trips. 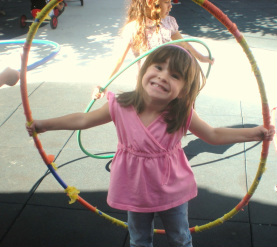 Children are given the opportunity to learn outside the classroom with trips to: The Children’s Discovery Museum, Happy Hollow, The California Theater Center and more. You will be amazed by the transformation of your child by graduation. They will be more than prepared for the academic, social, and emotional challenges of the 1st grade and beyond! Kindergarten is a year-long commitment. Sign-ups begin in January. Each Summer we run a summer camp for children from 6 – 12 years of age.